Your urgency is our priority. Blast It Clean provides emergency sandblasting and industrial cleaning services and respond to urgent projects within twenty-four hours, because we care. Instead of using traditional sand, sandblasing by Blast It Clean utilizes more than forty-seven different media options. That’s how we find the most suitable solution for your project. Blast It Clean maintains the highest safety-training standard with automatically updated safety protocols connected to the US Compliance database. We provide both in-house and on-site trainings. Indutsrial Sandblasting provided by Blast It Clean has been serving the industry leaders across the nation since 2001. Industrial sandblasting is one of the most effective ways to clean production facilities and industrial equipment. It is also frequently used in disaster recovery and historic restoration projects. Blast It Clean has been a vendor of ours for the past 6 years. Rick and his team are comprised of quality employees that take care of business in a professional manner. In this industry no two jobs are the same and they adapt to each situation to make sure the end product is what is expected by myself and our customers. Client relationship is the focus of Blast It Clean. We work as one team to deliver personalized industrial cleaning solutions that lead to the most optimized outcomes. Our team members are knowledgeable in industrial cleaning, sandblasting, powerwashing, painting and stripping,and other expertise related to the world of industrial cleaning. Their hands-on experience with sandblasting and industrial cleaning allows them to adjust acordingly regarding each project. Founded in 2001, Blast It Clean has served the Midwest Region with industrial cleaning and sandblasting services since 2001. We plan on expanding our service coverage further across the nation. When you need an industrial sandblaster, Blast It Clean is there for you. Sandblasting is what we do, but a clean culture is what we build. Check out our information hub for industrial sandblasting knowledge that one needs to know. We'd love to help you build a clean culture in your business. Have an article you'd like to share with us? Tag us on social media and we will take a look!  Blast It Clean applies a systematical approach to inspect, evaluate and analyze the project site to provide tailored industrial cleaning solutions for our clients. During the introduction phase, we will schedule a phone call with you to talk about your project. For this session, make sure you understand your project well: what is the approximate square footage of the targeted surface? What outcome are you looking for? If you have any questions or concerns, bring them up during the introduction call and we will try our best to deliver you a satisfactory answer. We will schedule an initial walk-through date to gain more direct knowledge about your project. We will work around your business schedule to find the most suitable time for one of our professionals to come down and talk to you face-to-face. Give us a call to schedule an introductory session at (877) 379-4233, or fill out the general inquiry form on our contact page! Remember, you can now choose appointment openings directly on our website using the calendar HERE. To learn more about our company history, our capabilities or get connected, fill out an industrial sandblasting connection form below. We will get in touch with you within 24 hours, ready to build a relationship with you and your company. Interested in becoming one of us? Sandblasting and abrasive blasting has always been a significant part in urban development. As a sandblasting company, we have participated in multiple restorations of historic sites, landmarks and abandoned buildings throughout the midwest region. Sandblasters are not always seen on the front – or at least not in the spotlights. However, everything we do is directly tied to the city’s development and resiliency. In the past years,Blast It Clean has worked with important city sectors such as the Missouri Department of Transportation and the local fire departments. We’ve also utilized sandblasting to remove graffiti, paintings and other unwanted materials from within the region limits and restored architectures to its original looks. Our employees at Blast It Clean also care about their communities. Our team members are active in church and volunteer activities, and find their passions rewarded through helping the community grow. In 2019, Blast It Clean officially became a proud member of the Kansas City Chamber of Commerce, ready to explore more opportunities where our sandblasting capability and our strong personalities can serve the local community. Blast It Clean has a robust and diverse team. Our company offers a variety of programs and activities to build stronger bonds between our employees. Marathons, parties… Our company is full of fun and action.